Worldwide, the heavy metal movement has known groundbreaking and seminal waves. They included the New Wave of British Heavy Metal, the Bay Area thrash metal explosion and the first wave of black metal. The late 1980s and early 1990s saw two subgenre developments in countries that were known musically for producing mainstream bands like Europe or ABBA; welfare states that year after year attract hundreds of thousands of tourists and that are famous for children’s literature like ‘Pippi Longstocking’ or ‘Karius and Bactus’. “Nordic Metal” today, especially when it comes to Viking and Pagan metal, is a trademark and a bestseller. The ball started rolling in 1984, when Tyfon Grammofon, a Swedish label, released the compilation ‘Scandinavian Metal Attack’, featuring bands from Sweden and Finland. The ball started rolling in 1984, when Tyfon Grammofon, a Swedish label, released the compilation ‘Scandinavian Metal Attack’, featuring bands from Sweden and Finland. Among them were Bathory, hitherto completely unheard of. However, ‘Scandinavian Metal Attack’ brought them into the ranks of highly successful metal bands and marked the start of the Scandinavian metal scene’s success all over the world. Bathory, along with the already well-known Venom from the United Kingdom, thus became one of the precursors of the Norwegian black metal movement. In their beginnings, Bathory followed their model’s Venom regarding music, lyrics and cover artwork, especially on their first three albums. However, in 1988, they discovered Scandinavian culture for their lyrics and imagery and with ‘Blood Fire Death’ (1988) laid the foundation for various scenic movements that are popular worldwide even today, more than twenty years later. The famous trilogy was completed by the albums ‘Hammerheart’ (1990) and ‘Twilight of the Gods’ (1991) that, like their predecessor, dealt with the Scandinavian countries’ cultural legacy. The famous trilogy was completed by the albums ‘Hammerheart’ (1990) and ‘Twilight of the Gods’ (1991) that, like their predecessor, dealt with the Scandinavian countries’ cultural legacy. Apart from still blasphemous contents, the lyrics depict Northern landscapes and battles, creating a dark and tense atmosphere, for example in ‘Oden’s Ride over Nordland’. The way of living in the Viking Age including fighting, raids and death rituals, and first references to Norse mythology carried the metaller off too long lost times. The imagery on these three albums changed dramatically from satanic elements to romantic oil paintings, often depicting martial scenes of the Viking age as cover artworks. The imagery also included iconography of fascism and National Socialism, like the sun wheel on ‘Hammerheart’, originally in black, white and red — the Nazi colours. The music changed “from frenzied cacophony to orchestrated, melodic bombast” and the music arrangements became more epic: the songs were noticeably orchestrated similarly to classical music, and the vocals were understandable, often accompanied by chanted choral backdrops. While bands like Mayhem, Emperor and Darkthrone further developed the genre of black metal to more extreme and brutal dimensions both sonically and lyrically, they influenced fellow bands, especially in Norway. Elements of classical music in terms of arrangements came into the genre, developing into symphonic black metal. From this point on, the metal scenes in the Nordic countries developed rapidly. Meanwhile, the death metal scene in Sweden that produced internationally highly successful acts like Entombed, Dismember and Hypocrisy came into being. In Finland, bands like Amorphis, Children of Bodom and Sentenced came into being. It was in these countries that both national and local cultural roots moved into artists’ focus. From black metal, Viking metal arose, in the form of its progenitors Enslaved and Einherjer from Norway. Both were among the first metal bands to introduce lyrics in their native language, Norwegian. Enslaved produced an entire album in the language of the “Eddas”, Old Norse. Though most Viking metal bands have a black metal background, Viking metal is defined by topics rather than music. That is why death metal bands like Amon Amarth and Unleashed are often included in the league of Viking metal bands. Thematically as well as in terms of music, pagan metal is more varied than Viking metal. The lyrics cover a variety of subjects from nature to racist ideas. References to the Eddas or mythology, among other elements, play a specific role in pagan metal, too. Highly influenced by bands like Skyclad from the United Kingdom, that worked predominantly with elements of folk music in metal, Finnish bands like Korpiklaani, Finntroll or Ensiferum employed elements from their traditional music, such as Yoik or Humppa, and had a formative role in the Viking metal genre. How do Nordic musicians deal with their culture in their lyrics? What do they regard as necessary? What roles do common cultural subjects like history, literature or even the northern European climate zone play? As already indicated, among the main ingredients in Viking and pagan metal lyrics and imagery are the following: untamed nature and the strength needed to survive in it; the Vikings and masculinity; fairytales of trolls and other creatures; alcohol (especially mead and vodka); Pagan/Heathen religions or rituals; and epic music, fitting the landscape. 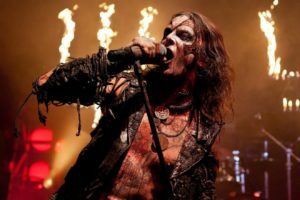 A closer look at some selected examples shows that the topics — still strongly influenced by the sonic dimension of “Satanic” bands — changed from dark and occult lyrics to Vikings and a Heathen past. Literature from the past is often utilised in pagan and Viking metal in equal measure. In the majority of cases, the Eddas and other material from Old Norse mythology are employed. 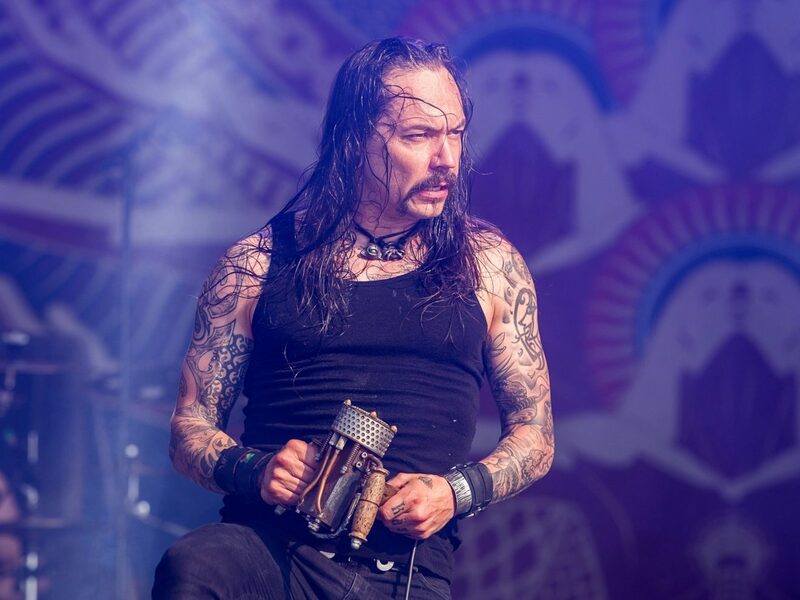 In Finland, Amorphis employ ideas and images from the national epos “Kalevala” and “Kanteletar” in their lyrics. Finntroll, on the other hand, helps themselves to fairytale characters, mostly trolls, and insert sounds from the forest into their music. Often, the bands’ native languages are used, sometimes even Old Norse. One of the earliest Viking metal bands is Enslaved from Haugesund, Norway. Their first album, ‘Vikingligr Veldi’ (1993), concentrated entirely on Old Norse mythology and kick-started the Scandinavian Viking metal scene like no other band. The Old Norse lyrics include descriptions of Old Norse gods as well as attributes and stories connected with them; for example the lyrics of ‘Heimdallr’ that contain the most important characteristics of the homonymous Aesir god. There are also extensive descriptions of nature, such as the characteristic shore and the rough climate. Because of the new upcoming trend of uncritically applying mythology in Viking and pagan metal lyrics, the band members dissociate themselves from the term and accuse other bands of using slogans stereotypically or glorifying the past. Enslaved’s singer Ivar Bjørnson states that his interest in his ancestral roots was aroused by his seeing himself in the wider context of the world as a whole and helps to understand other cultures instead of fearing or rejecting them. Consequently, the albums since ‘Monumension’ (2001) are philosophical rather than referencing mythology all over again. Other bands with mythology-linked lyrics are the Einherjer as mentioned earlier and Finland’s Moonsorrow. Among the first things that come to mind when thinking of countries like Norway or Sweden are the Vikings. Connected with the Vikings is their history and especially since it is heavy metal after all — Viking warfare, strength and freedom. Self-evidently, there are numerous examples of the Viking topic in Viking metal. Einherjer, also from Norway, deal with their cultural heritage in a similar way to Enslaved. They also deal with mythology but focus more on sagas and Viking history in that they tell what they call “old stories”. However, their main aim is to sound “as Norwegian as [they] can”. Some songs are in Norwegian. Moonsorrow from Finland takes the same line: their mostly Finnish lyrics deal with Old Norse mythology, but also with traditions and legends and of course the Christians taking over. There is a certain tendency against Christianity as the destroyer of the Heathen religions in Northern Europe. This attitude might be comprehensible since most bands come from black metal. However, there is a further dimension to that: the Pagan religions — through an umbrella term for various forms of belief — share among them a pronounced reverence for nature, which can also be said of pagan metal. 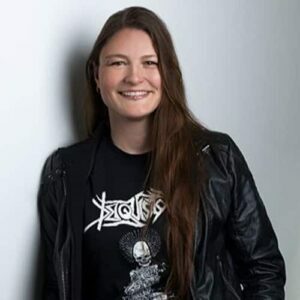 In pagan metal, the term is used quite vaguely in that it does not always have a connection to any religion at all — it might merely mean that the band or fan loves nature and metal or plays with names from mythology like Odin or Thor. It might as well depict a particular affinity towards a solitary existence far away from civilisation or merely show an aversion against the forces of Christianity. After all, it is most certainly utilised as a marketing strategy. Within the sonic dimension, there are only a few authentic examples of applying traditional melodies. Most bands admit that they do not use authentic folk melodies. Frode Glesnes of Einherjer states that they create melodies that “feel” Norwegian for them instead of looking into old songbooks. He explains the feasibility of this procedure with the fact that most people have the melodies of their country in the back of their heads, ready to come out, whether consciously or unconsciously. Týr from the Faroese Islands — who thematically resemble Enslaved or Moonsorrow — on the other hand, are one of the few that include traditional music (and texts), in their case Faroese ballads, in their songwriting. Two recently very popular bands of Finnish origin add new dimensions to pagan metal: Korpiklaani (Finnish for “Clan of the Forest”) and Finntroll. Shamans and the indigenous Sami people who mainly live in the North of Finland, Norway and Sweden and the Kola peninsula of Russia with their reindeer herds are often the subjects of Korpiklaani’s lyrics. The band explains word concepts peculiar to the Sami or the Finnish languages they use in their songs in the album booklets. Another essential aspect of their lyrics is a celebration in terms of chants and alcohol (mead, vodka). Maybe it is also a little thirst for adventure that motivates them, as in the ‘Hunting Song’. Starting as a folk band under the name of Shaman, the band added metal to their music and Korpiklaani was born. Striking are Korpiklaani’s and Finntroll’s engaging music styles — Finntroll’s style is dubbed Trollish metal — that combines death, black and power metal elements with traditional music components like Humppa or Yoik of the Sami. Their music combines metal with traditional instruments like the accordion and flutes. The languages used in the lyrics are English and Swedish since the former’s singer, and the primary songwriter belongs to the Swedish-speaking minority in Finland. The lyrics nearly exclusively deal with trolls in various situations and of course their habit of eating good Christians. What indeed unites these bands is love for their country and criticism of contemporary politics and society. Today, pagan and Viking metal are extremely popular not only in Europe but also in the United States of America, producing festivals like the Paganfest that is about to take place for the second year. There are also several smaller festivals specialising in these subgenres like the Ragnarök in Germany (in its sixth year), the Fimbul Festival and Celtic Rock, all of them in Germany, as well as recording samplers such as Metalmessage “V”. Thus, apart from the second wave of black metal and Swedish death metal, the Northern European countries are famous for a third metal wave — that of Viking and pagan metal. Of course, none of these bands invented the folk-metal-combination. There were examples far earlier, like Britain’s Led Zeppelin, the “Champions of the furry loincloth”, Brazil’s Sepultura, and the United States of America’s Manowar, as well as the Skyclad as mentioned earlier. However, still, none of them had the same impact that the Nordic bands had. In other words, Viking and pagan metal provide a new space to grapple and identify with one’s nationality. Playing with identity and sometimes even constructing hybrid identities (like Finnish Ensiferum who perform in Scottish kilts and war paint, but use Finnish subjects in their lyrics) has become the subject — be it conscious or unconscious — of many bands. Sometimes, bands are even labelled ambassador of their country for bringing national literature to other countries as in the case of bands like Amorphis or Enslaved. The “Nordic wave” is being further developed today outside Scandinavia or the North, for example in countries like Germany, Switzerland, Russia and Lithuania. The influence is especially evident in Germany, where dealing with nationality or national identity is still a difficult subject. Of course, there are still quite a lot of problems, for example with the Antifa or BIFFF, the Berlin centre for fascism research who try to stop concerts by pagan bands and collect hints of racism. 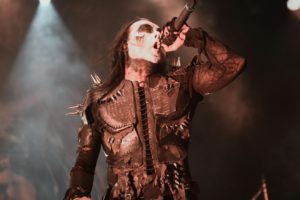 They stepped into the consciousness and provoked the protest of the metal scene by publishing an article on a concert of the Paganfest in a leftist venue in Berlin and moving Týr and Moonsorrow to state they were not politically active or even racist bands. There is still discordance among fans as well as critics on what Viking and pagan metal are all about: both might contribute positively to a cultural examination of one’s own or even others’ national history and thus play a vital part in identity construction in a globalised world. However, they can also reach extremes that both musicians and fans should be aware of.